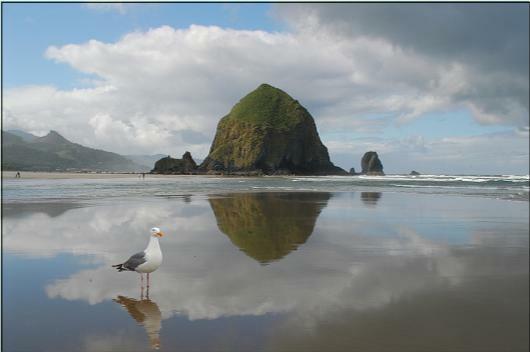 Listed as one of the top ten beaches in the U.S., Cannon Beach, Oregon is a quaint town just 210 miles from Seattle, Wa., just 80 miles from Portland, Oregon and is located right on miles of beautiful Pacific Ocean beach. Set for June 21, 2014, the 50th annual Sandcastle Day is a family orientated event that is open to everyone from "Sand Fleas" age 6 and under to "Sand Masters", some of which compete in numerous judged events around the country. Downtown Cannon Beach being only about two blocks from the beach makes it easy for the family to have something for everyone to do. Those interested can keep an eye on the beach goings on while those who want to browse the shops can look to their hearts content. The whole family then can meet up for a great meal at one of the numerous eating spots or grab some goodies for a picnic on the beach.